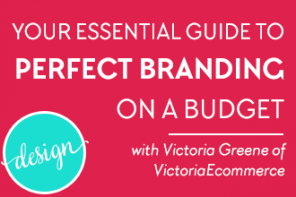 Many people think that designing a blog is all about pretty colors and graphics, but there is a lot more that goes into making your blog look good (and professional) to your visitors. 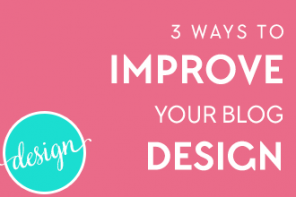 The best way to beautify your blog pages and posts is to use intention when formatting your content. 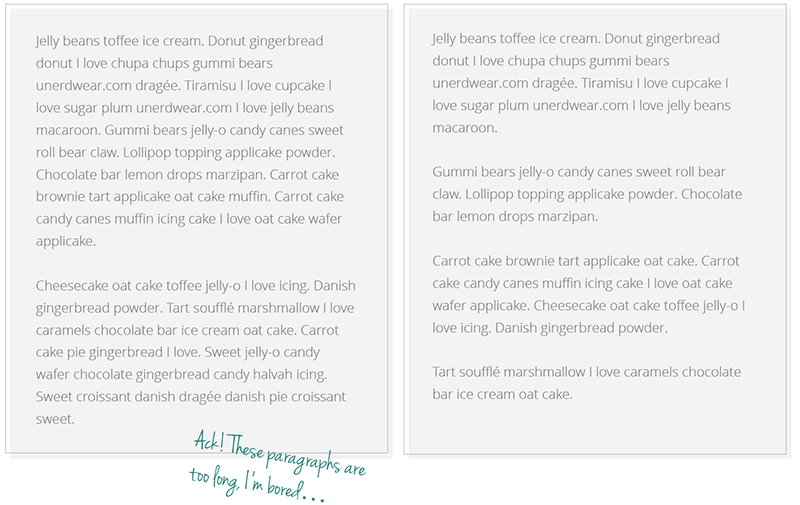 Looking at a blog post with nothing but giant blocks of text can look intimidating or feel tedious to read. That’s why it’s important to make your blog posts scannable. To avoid bombarding you with too much information all at once, I’ve broken up the 18 ways into 3 blog posts. So be sure to subscribe here so you don’t miss the rest. 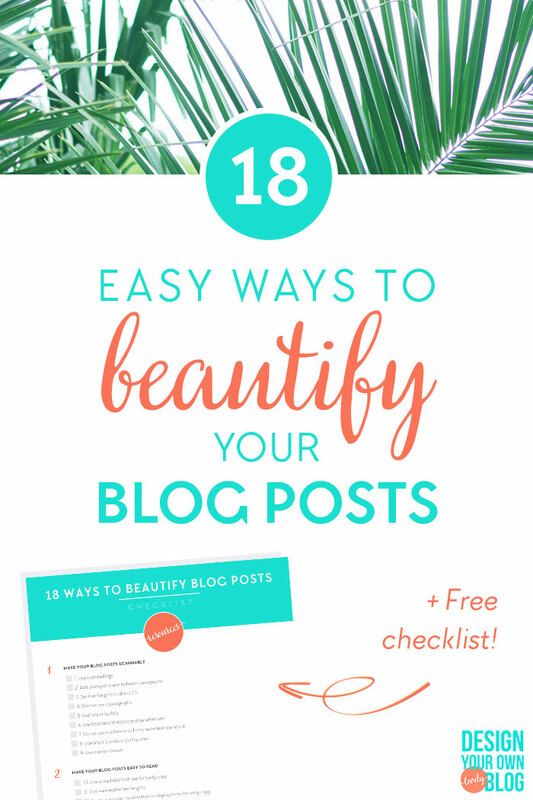 You’ll also receive a free checklist of all 18 ways to beautify your blog posts! Today, we’ll dive into the 9 ways to make your blog posts scannable so your visitors can have a great experience each time they stop by. This is the most important one. Remember when you wrote papers in school and you had to create an outline first? This was to help you organize the information in your paper and label each section. Subheadings help you break up the information in your blog posts in a way that makes sense and helps your readers visually organize that information. You’ll notice I use subheadings throughout this post. I use the <h2> html tag for top level subheadings and when necessary, I’ll use <h3> and sometimes <h4> tags to further break up the content underneath each section. To give your readers’ eyes a break while they read, there should be a margin of at least one row of text below each paragraph. Using 1em tells the browser to use a height equal to the font size you are using. This way it will adjust automagically if you change your font-size later. Learn how to edit CSS in your blog. This means that each line of text gets a row equal to one and a half the size of the font. This will vary with each font so play around with it and go with what feels good. Designing a blog isn’t all about pretty colors and graphics. 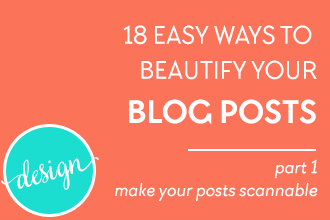 Here are 18 easy ways to beautify your blog posts, with free checklist. Don’t scare your readers away with giant, intimidating walls of text. Short and punchy paragraphs are more interesting and easier to read. Keep them down to 2-4 sentences each. Bullet points and numbered lists help break up the monotony in a blog post full of text, and numbered lists in particular are very powerful for drawing attention. Most people are busy and many of them like to skim through blog posts for the important info they’re looking for. Bolding or italicizing important text helps skimmers catch the important bits and draws them into your post for more. I try to highlight about one word or phrase every 2+ sentence paragraph or two. People automatically think text of another color is a link and may get confused. Did you just try to click on that? 😉 An exception to this may be using red text to highlight an error or something similar. Otherwise, stick to bold or italics to draw emphasis. 18 easy ways to beautify your blog posts. Download your free checklist here. Semantics: Block quotes are quotes that support an article, while pull quotes are lines pulled directly from the article itself, but made to stand out. Magazine articles use pull quotes often. Here is a showcase of cool looking block and pull quotes. Magazine articles use pull quotes often. To create a blockquote or pull quote in your blog post, simply use the blockquote button in your post editor, sometimes identified by a “quotation mark” icon. Or if your post editor does not have such a button, you can switch to “code” or “text” view and use the <blockquote> tag around your quote. Want more tips on beautifying your blog? Here is a content block used to draw some additional attention to the text. *From How to Make Your Blog Content Pop! on Blog Ambitions, where you can learn more about using content boxes and block quotes. So tell me now, what are you going to do next to make your blog posts scannable? Need feedback or help with any of the suggestions above? I’m happy to help, just leave a comment below with the URL to the page in question and I’ll take a quick look for you! 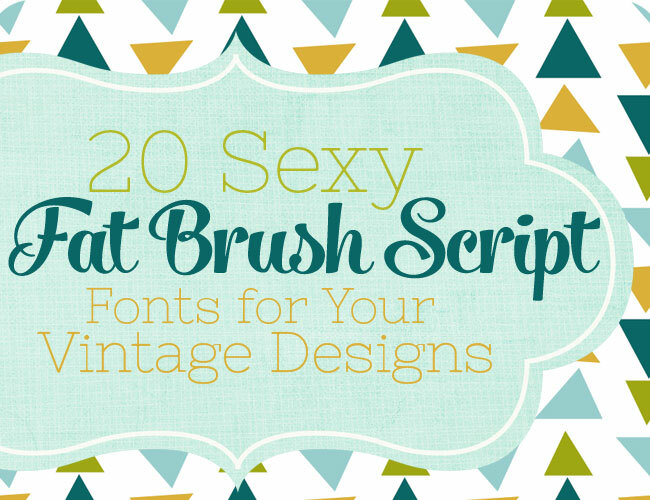 Come on over to part 2 where I’ll share more ways to beautify your blog posts! Subscribe by clicking the graphic below so you don’t miss part 3. You’ll also receive a free checklist that you can download of all 18 ways to beautify your blog posts!